The next in the seriously long series of unshared FO's: Multnomah. 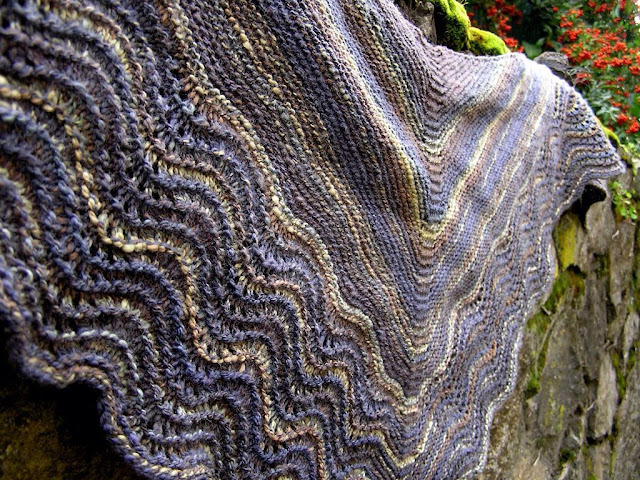 I knit this from some very early wheelspun (and thus early handspun in general) from about late spring last year. The fibre was Lorna's Laces Shepherd's Wool top (SW Merino), which was not my favourite spinning experience, honestly. There was a lot less of it than the tag suggested (4.4 ounces is NOT "about 5 ounces" learn to round, honestly) and it was compacted and fuzzy (probably bad storage at the now out of business LYS I got it from). 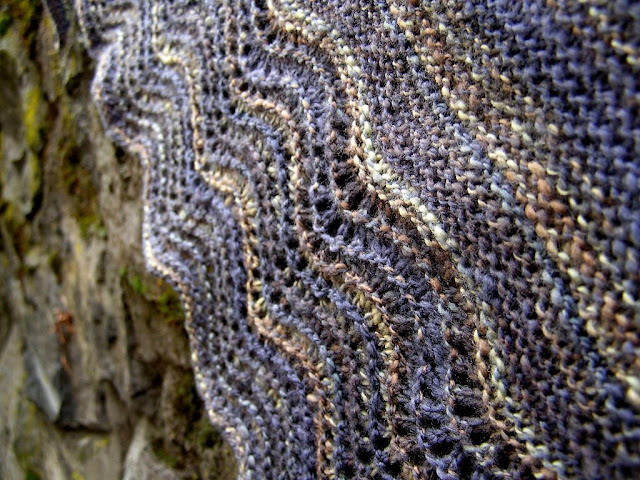 However, as soon as it was all spun up, I knew I had to make a Multnomah Shawl (by Kate Ray). It just cried out for a little feather and fan to make the stripes all wiggly. 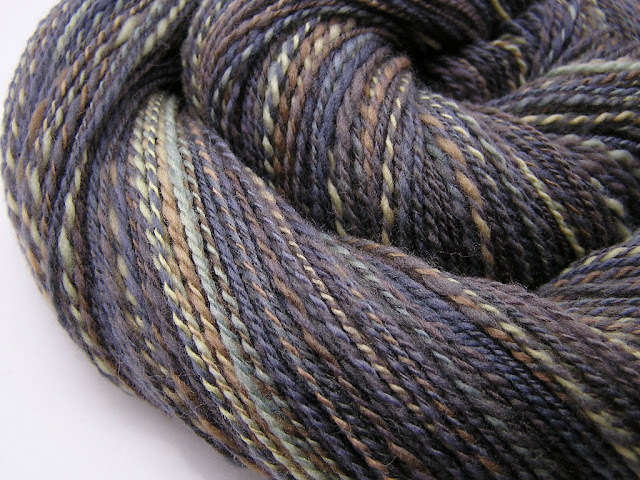 The yarn was kinda vile to knit with, honestly - it was overspun and pretty uneven, and it felt kinda crunchy. 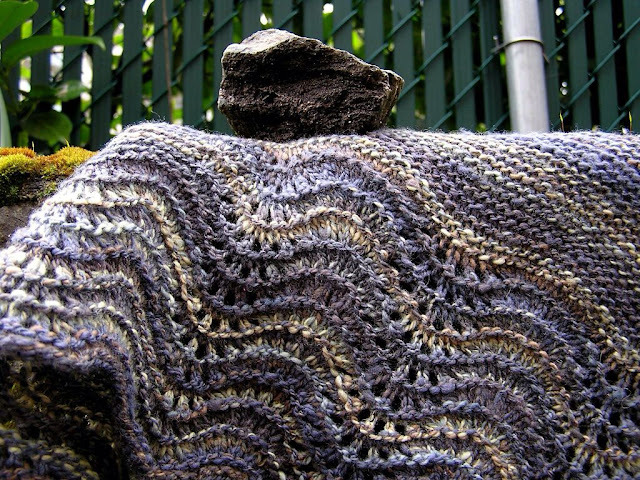 Luckily, blocking is the most amazing thing known to knitter-kind, and it came out beautifully and fairly soft. Yay! 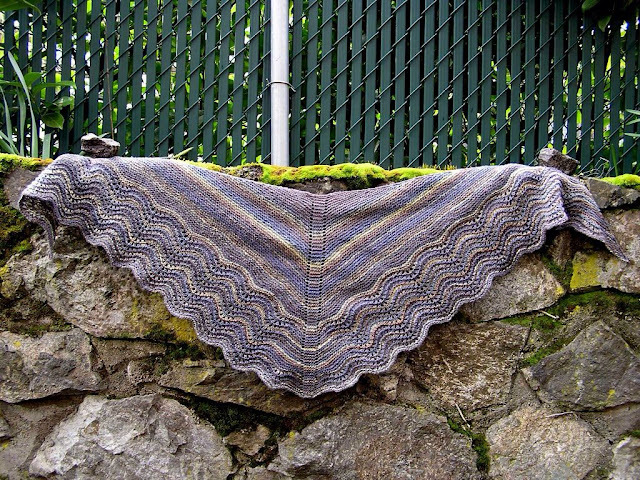 I wore this at Fibres West and it was so fun to meet all my shawl twins. I think there were seven of us wearing Multnomahs in just the first day, and several more th next day. What can I say - it makes sense. It's an easy, free pattern that gives a high impact result! Go make one for yourself!